Numerology Name Number Calculator calculates your name number according to Chaldean Numerology. Name number, also called expression number, is one of the important numbers. The sound produced by your name has certain patterns and the number vibrates to have its effect on your personality and your relationship with other people. The first name is significant in close relationships, while the full name is more important for official documents and business. However, it is the name most often used by you that has stronger vibrations. Your name number should be in harmony with your birth number. If it is not, you may do well to change your name slightly or in any other possibe way so as to make it go well with your birth and fate number. 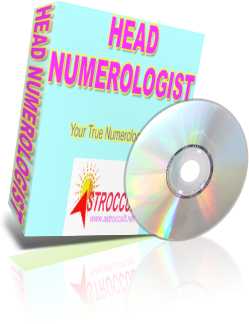 Get your 100% free best professional quality numerology software with forecast here. Just enter your name below and click the calculate button to find your name number instantly online. Calculate your birth number and destiny number online here.